Dropcam vs Foscam – Which Self Monitored Security Camera Is Best For You? The debate over whether the Dropcam or Foscam is the best option for a network camera has been going on for several years. 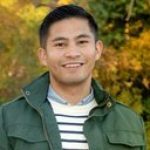 As with most things, the decision about which option is best for you will ultimately come down to what your unique needs are. Both the Dropcam and Foscam have several advantages and disadvantages associated with them that can influence your decision. This article is designed to provide specifics related to each network camera that can assist you to make a more educated choice about which best fits your needs. The Dropcam has a very simple design and comes with dimensions of 3.15 x 3.15 x 4.5 inches. It weighs in at only .66 pounds, making it much smaller than the Foscam. The camera is extremely easy to setup, as the brand claims that it should only take you about a minute to do so. When setting up, you have the option of connecting to your Wi-Fi through your computer or using your mobile device to connect via Bluetooth. Unfortunately, the camera only currently works with iOS mobile devices, although they have made it clear that Android capabilities are on the way. The first, and probably most impressive, feature associated with the Dropcam is that it has a top notch field of view. With it, you can view up to 130 degrees diagonal. It also features both night and zoom vision to ensure that you get a quality video no matter the surrounding conditions. 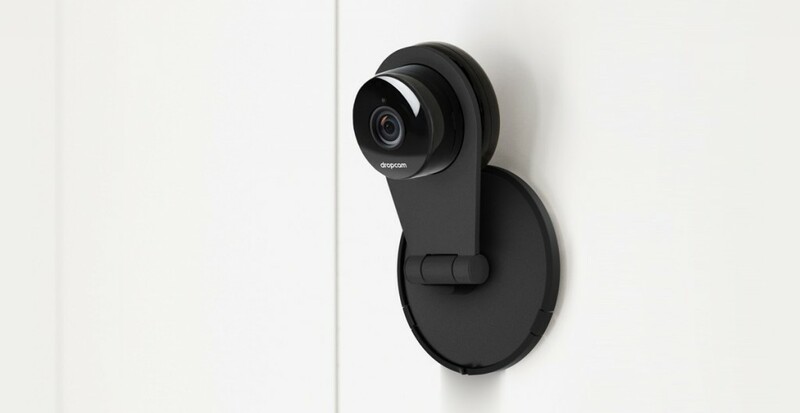 Other interesting features for the Dropcam include two-way talk capabilities, video scheduling, intelligent alerts, and mobile or web apps for easy footage review. 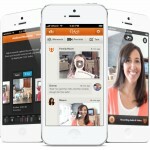 Dropcam also allows for cloud video recording, where you can securely record and store up to 30 days of footage. For convenient video review, any activity detected and recorded by the Dropcam will actually be highlighted on your cloud timeline for quick and easy access. It should be noted that ongoing cloud recording will require a subscription and there are additional costs. As far as video specifications, you will be working with a camera that has 8x zoom and can display up to 720p HD video. You can also change the video quality that your camera is delivering through your mobile or web app. Video can be streamed and shared with friends or even made public if you desire. 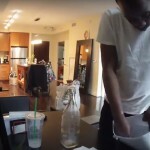 Fortunately, there are very few major issues associated with the Dropcam. Some of the main issues that users have highlighted include delayed streaming, blurry video when using zoom, and the inability to save video to your phone, computer, or hard drive. The biggest issue outlined here is with the storage of video on the cloud. Since you cannot store video on any of your devices or hard drives, you will actually have to pay for the cloud subscription service that Dropcam offers if you want to save and replay video. So, you can basically expect an ongoing fee if you intend to save video. With the ability to send it to your social media sites, you do have the ability to keep it in another media, but the storage options are limited. The Foscam is much bigger than the Dropcam, coming in at 1.5 pounds and with dimensions of 5 x 6.5 x 8 inches. It has the ability to provide 1280 x 720p HD quality video and even allows for H. 264 compression to optimize the smoothness of your stored video feeds. The setup for the Foscam is a bit more difficult than the Dropcam. While you can find fairly detailed instructions through third party forums and blogs throughout the web, the instructions included with your camera are not very easy to follow. You will more than likely need to plug in an Ethernet cable to optimize video quality as the Wi-Fi connection is something that multiple users have mentioned as a major issue. From there, you will also need to identify the IP address of the camera and then access that IP address through your web browser. As you can see, this is a bit more detailed process than most non tech savvy users would like to get involved with. Setting up motion detection and the alarm settings are also a bit of a chore. Working through the entire setup can take an hour or two if you are unsure what you are doing. The Foscam has wider viewing capabilities than the Dropcam as it can rotate up to 300 degrees. Like the Dropcam, it also has a two-way audio and allows you to setup for night vision if desired. The camera can be connected with either an iOS or Android app, although there have been mentions of issues with this. 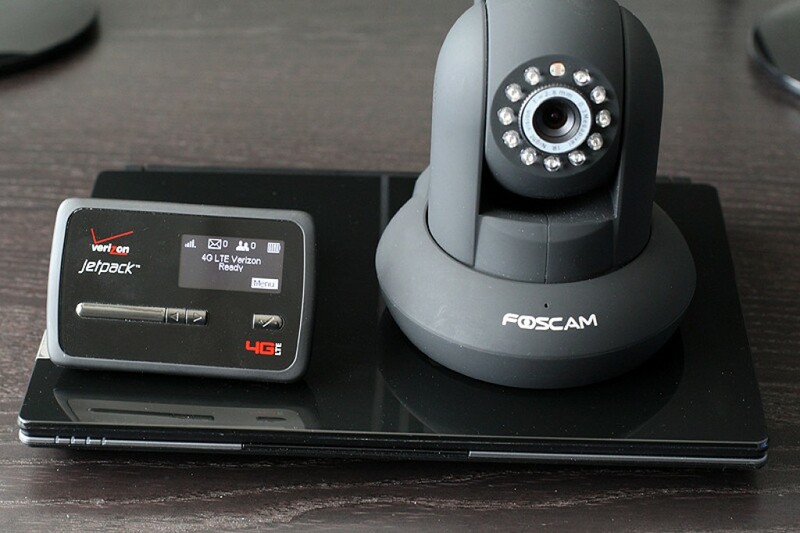 The biggest advantage associated with the Foscam over the Dropcam is that it is a lot cheaper and more affordable option, both over the long and short term. Unlike the Dropcam, you will be able to save your video to just about any device and even have your own network video server. This is provided at no additional cost. The biggest issue, as has been outlined, is with its overall reliability. Non tech savvy users have found that it is incredibly difficult to setup, causing issues both out of the box and as time goes on. The video quality has also been questioned by users who say that it certainly does not look like HD quality. Overall, deciding between the Dropcam and the Foscam comes down to determining what your needs are as well as understanding what comes with each option. While the Dropcam is much more expensive both in the short and long term, it provides far superior video quality and reliability to the Foscam and is also much better suited for users that are not tech savvy. 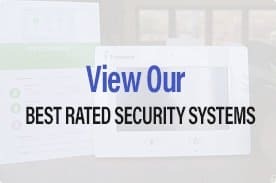 The Foscam provides a better value in terms of costs than the Dropcam, although it is difficult to get proper use out of it unless you have an idea of what you are doing with setup. 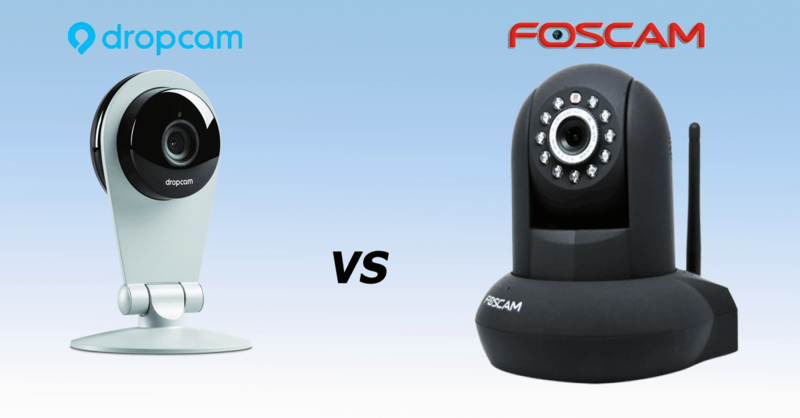 At the end of the day, the Dropcam wins the video quality battle by a landslide, while the Foscam wins the value battle by just about the same amount. Perch! Free App Turns Your Android Phone Into A Wireless Security Cam - Here's How!